In honour of Game Hunter, I thought I would tell you my inspiration and how I ended up with this story. In the last decade or so zombies have achieved a bit of a resurgence and I saw the popular films ‘28 Days Later’ and ‘Shaun of the Dead,’ as did many others. The first film showed zombies to be fast and viciously dangerous. The second depicted zombies as slow, lumbering and easy to kill. The rest of the zombie films and books I have seen over the years, usually show zombies in one of these two categories and always grotesque. From this I came up with the idea of having my zombies not so categorised. Therefore I have created fully turned zombies and half turned zombies, not in a static state but rather as a deteriorating condition. The general theme in zombie films or books is that zombies are evil, without heart or soul and need to be killed or at least escaped from. That was until ‘Warm Bodies,’ gave a different perspective. The hero and the rest of the zombies aren’t nearly so cartoonishly grotesque and they have feelings, heart and thoughts. 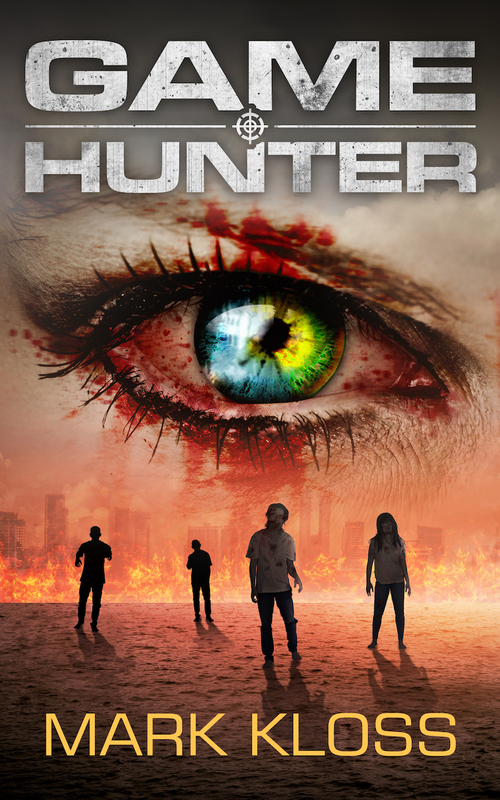 I loved that, so my main characters became half-zombies with feelings and even a sense of humour. ‘Prison planet’ is a phrase I have come across several times, and it stuck with me as a powerful phrase. I love walking through the City of London, enjoying the many ancient buildings, churches, castles and cobbled streets or lanes. It feels as though you can directly sense the history of the place. The City has certainly been a place of death, dark intrigue and historical mischief throughout the ages. I find the buildings have depth and have witnessed much drama. The area is always busy with commerce and tourists, so I imagined it being deserted, painting a completely different picture. Perhaps with possible danger behind each and every narrow ally and moody building – especially at night. I ended up with the idea of ‘The Prison City of London,’ where my zombies are trapped. I am quite spiritual but find people get confused with thinking there is no difference between their spiritual self and their body. The idea is if the body is grotesque, so must be whatever is inside. In my world zombie-ism is just another affliction causing a terrible disability of mind and body. Those not affected should count themselves lucky and help the zombies, as they would a wounded but still dangerous animal that had previously been harmless and warm. Unfortunately, there are all too many examples of man being frightened into fighting or trying to destroy what they don’t like or can’t understand. Here we view zombie-ism as an underprivileged minority. The bad guys are the normals who pay to kill, on zombie safaris or games. Yet like all other minorities, our zombies just want to be given rights. I ended up with zombies who have heart and soul, and can think and communicate, trapped inside the prison City of London. They are fighting for their lives and those of the whole zombie race. That is until a cure is found or they die trying. So the book may be exciting, adventurous and fairly light hearted, but it also has a message. That those we don’t understand also have a heart and a soul and are entitled to their own rights. That we should try to understand those far less fortunate than ourselves and be inclined to help rather than attack.